Maggy is a strong female, with excellent bone, anatomy, movements, beautiful head and expression. She is typical alfa-dog – leader with show temperament and drive. It is pleasure to handle such dog in ring, she is working in tight contact and giving all to make her owner happy. 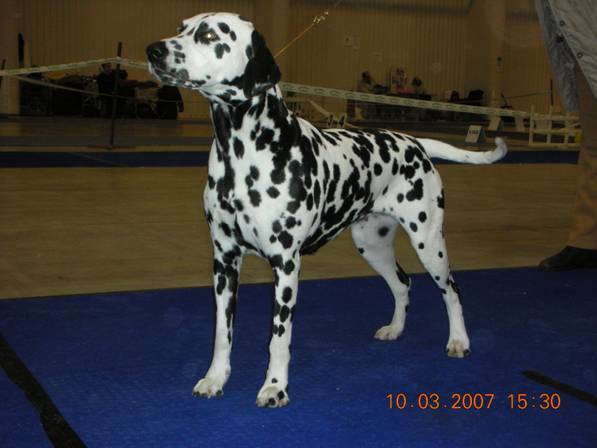 Maggy is a daughter of famous Interchampion Rocca al Mare Adirato. 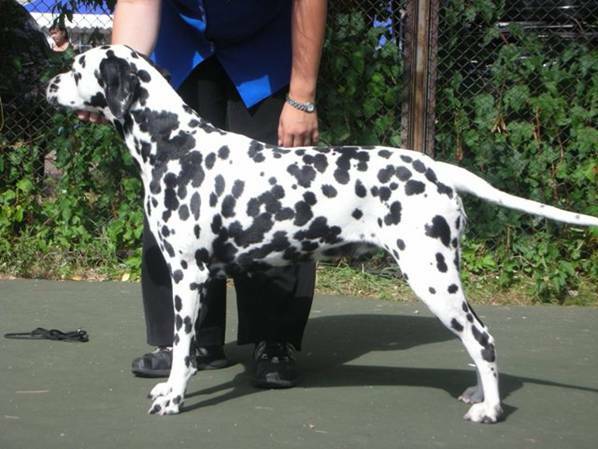 Charlie was beautiful dalmatian with excellent temperament. Maggy on International show in Vilnius. 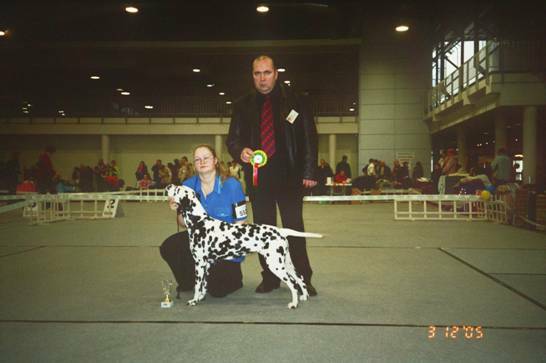 Maggy winning her CACIB in Lithuania.